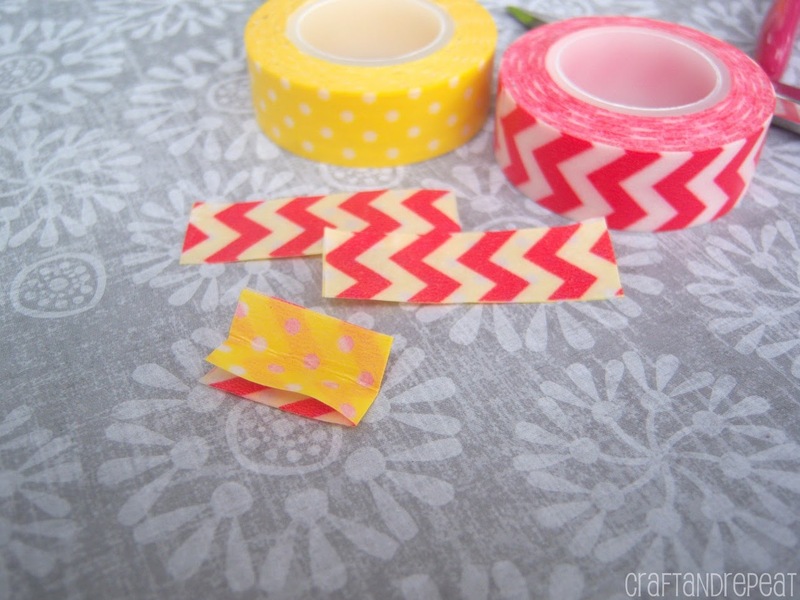 Washi Tape – Flowers, Butterflies, Hearts, and Spires! 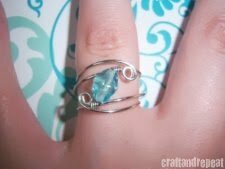 I made it through another round of the One Crafty Contest! Another big thank you to everyone who voted! You can read about my participation in the contest here and see my round 1 paint project here. 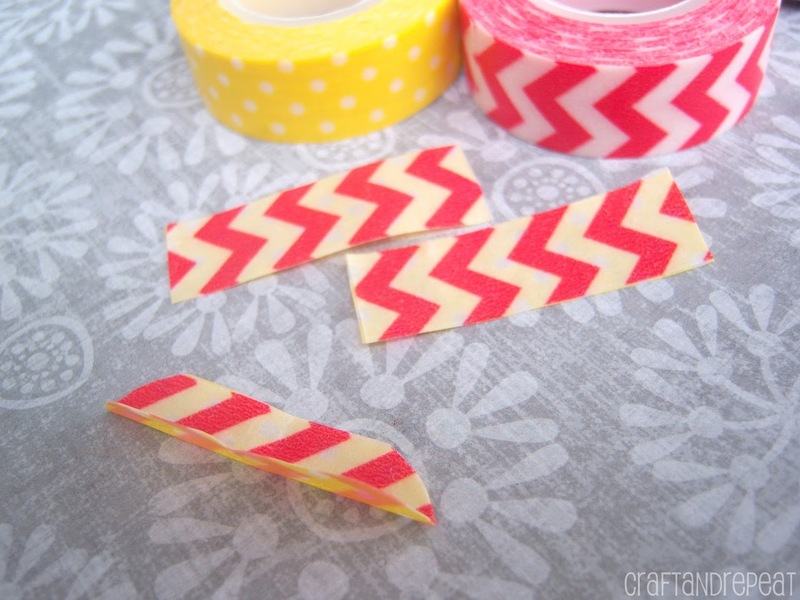 We had to feature washi tape in this round. I had never used it before, but can now understand why people get so obsessed with it! The above picture was my entry. I’m now in the top ten! I’m excited, but nervous. It’s getting more serious each round, and I’m up against some amazing talent. Our next project has to feature glitter. Make sure to check back to see what I make! I didn’t take any in-progress pictures for this project (oops!). I was too busy trying to get it to look just right. So instead, I made some more of the embellishments, took pictures, and have the tutorials for you! I’ve already received a few requests for a tutorial on the flower. So we’ll start with that. 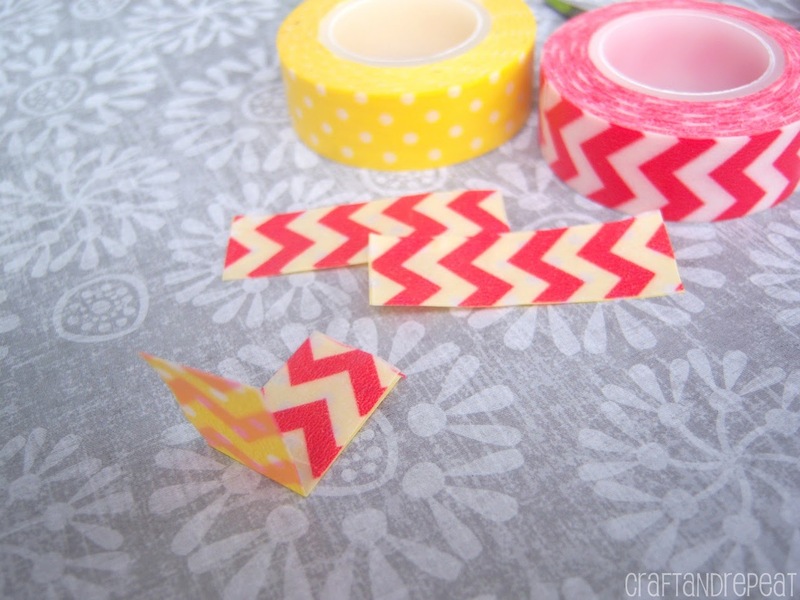 This is a really simple folding technique that I found by Kara at scrapbook.steals.com. She gives credit for her post to fancypantsdesigns.com. 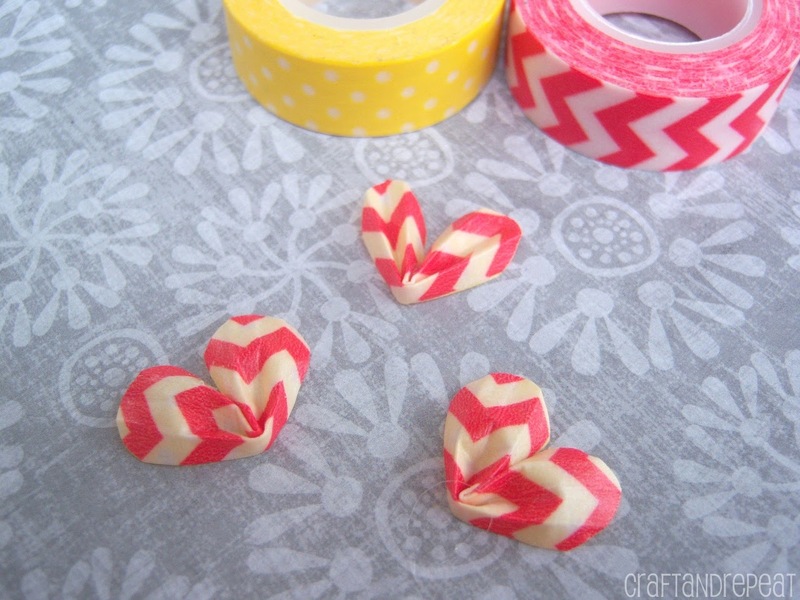 While they used paper to make flowers, I used the folding technique to make washi tape flowers, but I also realized I could use this technique to make butterflies and hearts! I made my flowers 2 toned. 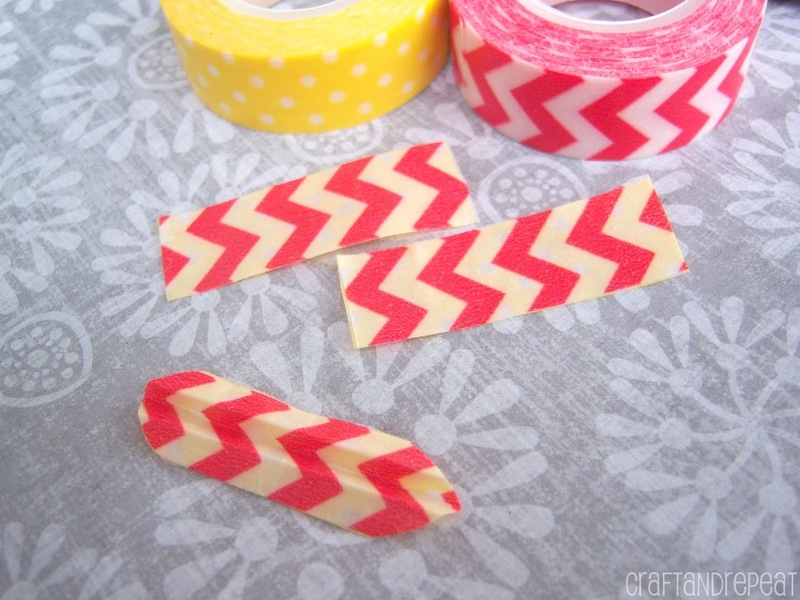 One color of washi tape is on the front and the other is on the back. 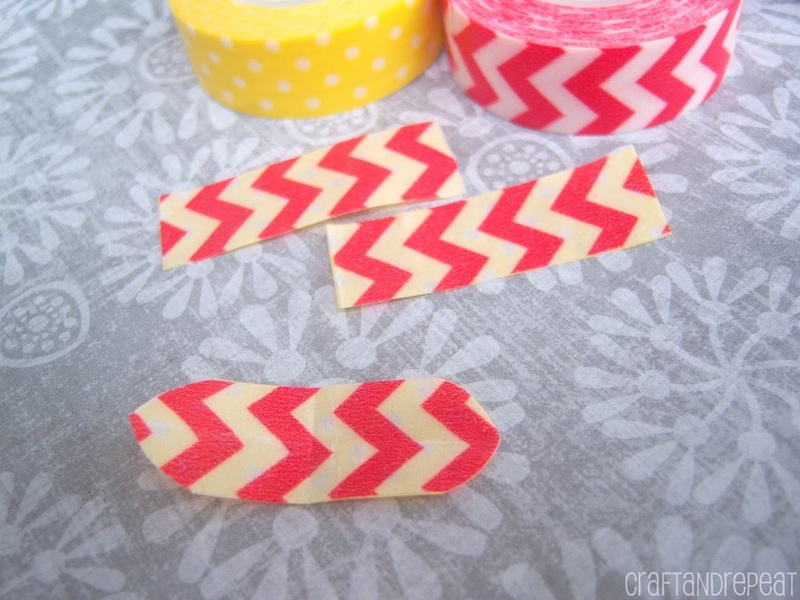 I love how most washi tape has some sort of see-through pattern. 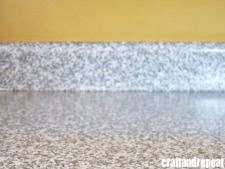 If you want yours 2 toned too, choose colors and patterns that will look good together. For my contest entry, I did light pink and dark blue, to get lavender flowers. For this tutorial, I am using red and yellow. 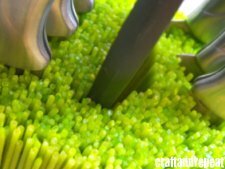 First you will need to cut and measure one of your flower colors. I found I liked the way my petals looked by cutting a piece that is 1 3/4 inches using standard sized washi tape (15mm wide). 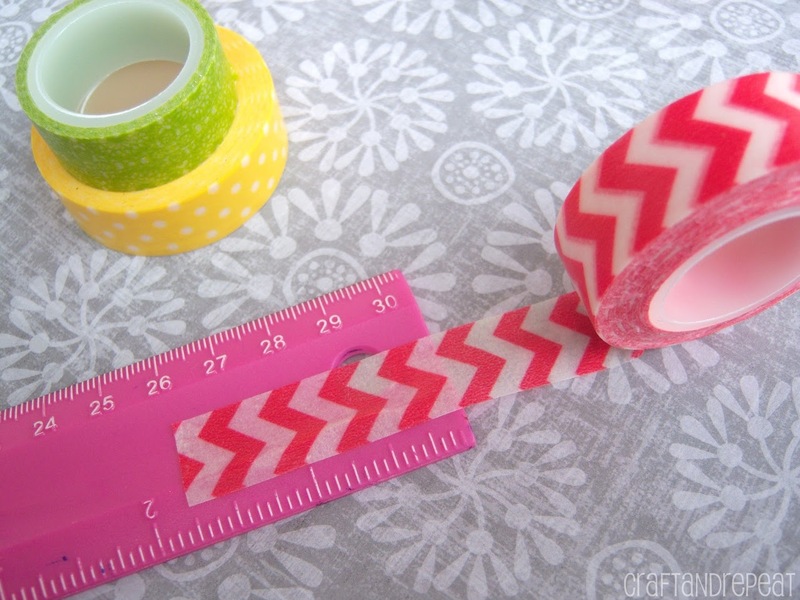 Just stick the end of your tape at 1 3/4 inches on the ruler and let it hang off the edge to cut it. 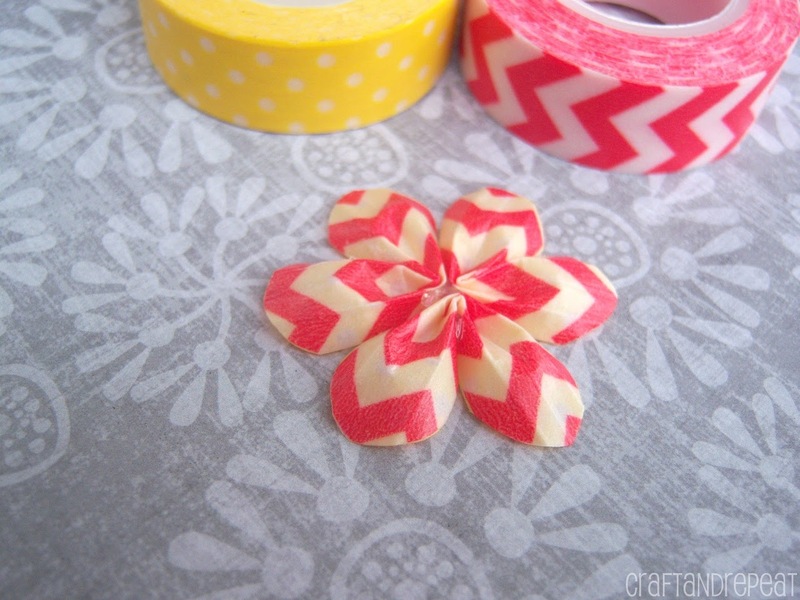 Line up the cut tape, with the sticky sides together, on the second color for your flower. This might take a few tries to get it straight, especially if you don’t have obvious patterns or your ends aren’t cut straight. No worries though! The tape will easily come apart to try again! Cut the second color where the edge of the first color ends. 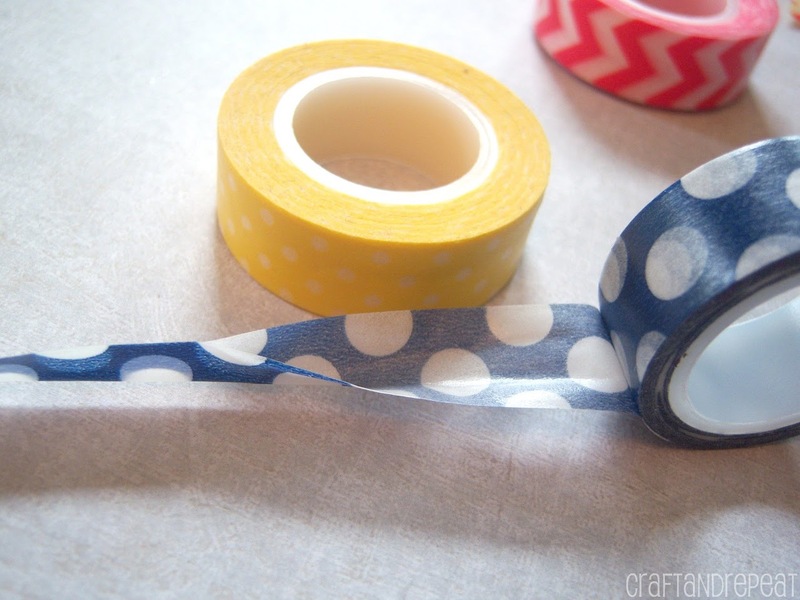 You can pinch the tape with your finger and thumb and swipe with your thumbnail to smooth out any wrinkles or creases. Repeat until you have 3 of these little strips. Or 3 x the number of flowers you’re making. Stack the 3 strips on top of each other to do any necessary trimming to make sure they are all the same length. Make one more smaller strip that’s about the size of a square for each flower. Fold a strip in half so that the short ends meet. At this point don’t worry about what color is on top or bottom. Then fold it in half length wise. Turn it so that the short side with the fold is on the left, and the long side with the fold is on the bottom. Starting at the bottom right, cut a small curve going up to the top. This will be the rounded part of your petals. Now fold it in half length wise with the color that you want as the FRONT of the flower on the INSIDE of the fold. Grab one of the 2 flaps and fold it back up to meet the edge of the last fold you created. Turn it over and do the same thing. It should look a little like an accordion. Now fold the whole thing in half. You should see a crease line as a guide from the first folds you made. 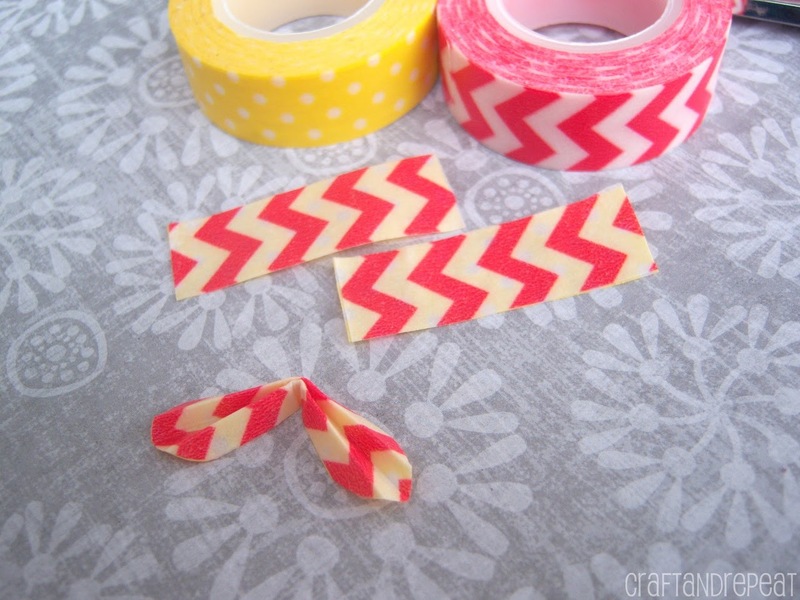 Make petals out of the other 2 strips using the same steps. Cut a small circle out of the 4th strip you made. This will be the base of the flower. 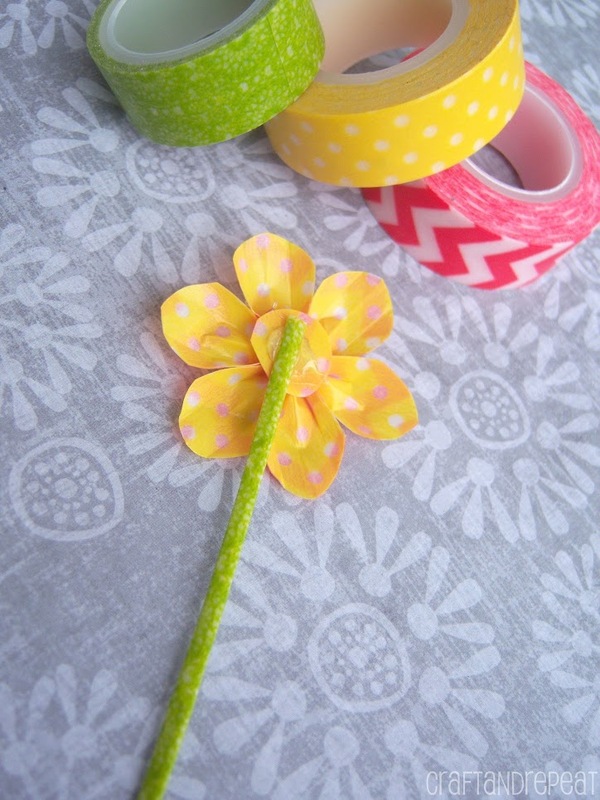 Add a very small amount of glue (I suggest hot glue or mini glue dots) right inside the last fold you created to keep the 2 petals next to each other. Do not glue the entire length of the petals. You want them to flare out some from each other. Hold each set of petals by the middle fold with the front color facing up, and run a finger underneath each petal to shape it by pushing up on the center fold. 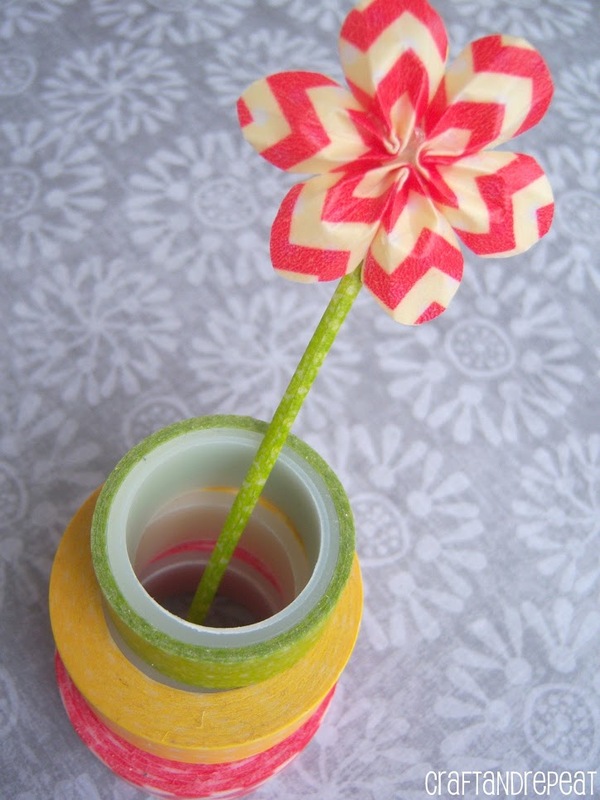 Glue (I suggest hot glue) and arrange the 3 completed petal pieces on the circle. The length of the stem is up to you. It works best if you can get your wire really straight. 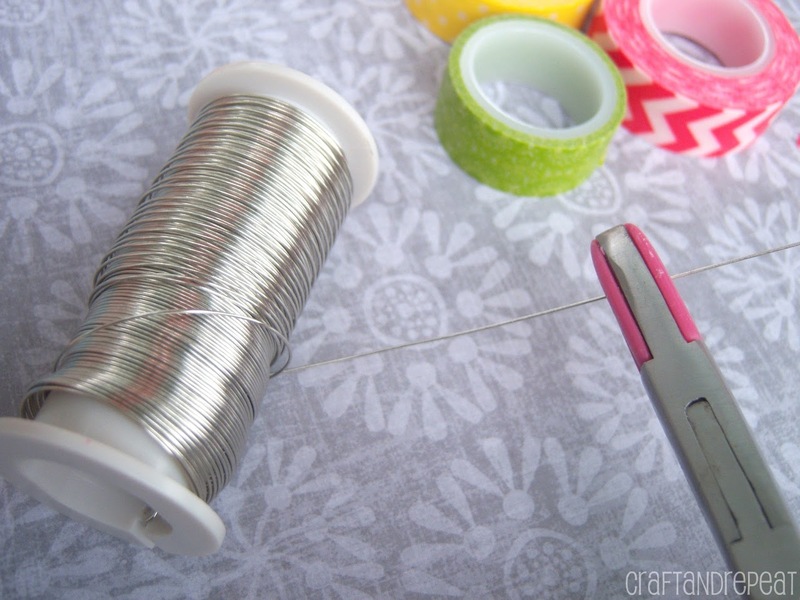 If you have a nylon jaw flat nose pliers, straighten out the wire using the pliers while it’s still on the spool. If you cut it first, you’ll have a hard time holding onto it. Once it’s straight, cut the wire. 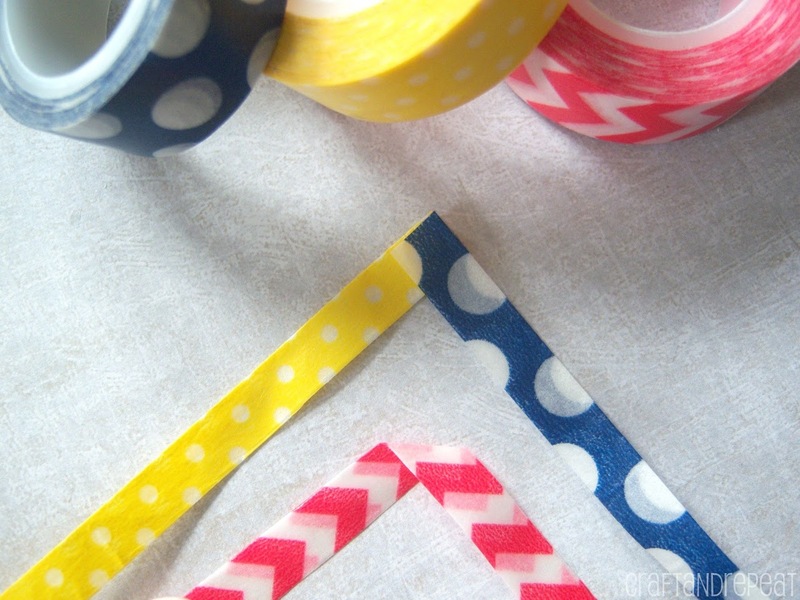 Unravel some of your stem colored washi tape and place the wire close to the edge of the tape. 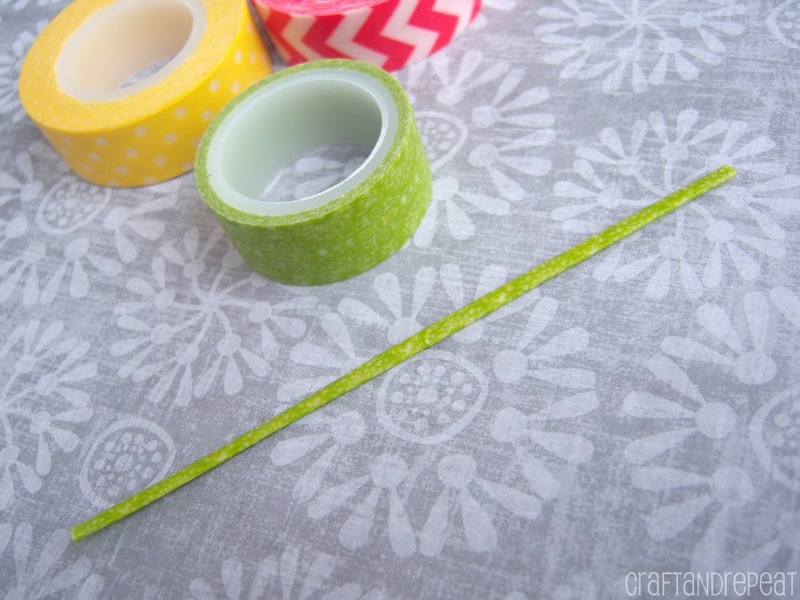 Leave just enough space to fold the edge of the tape over the wire. 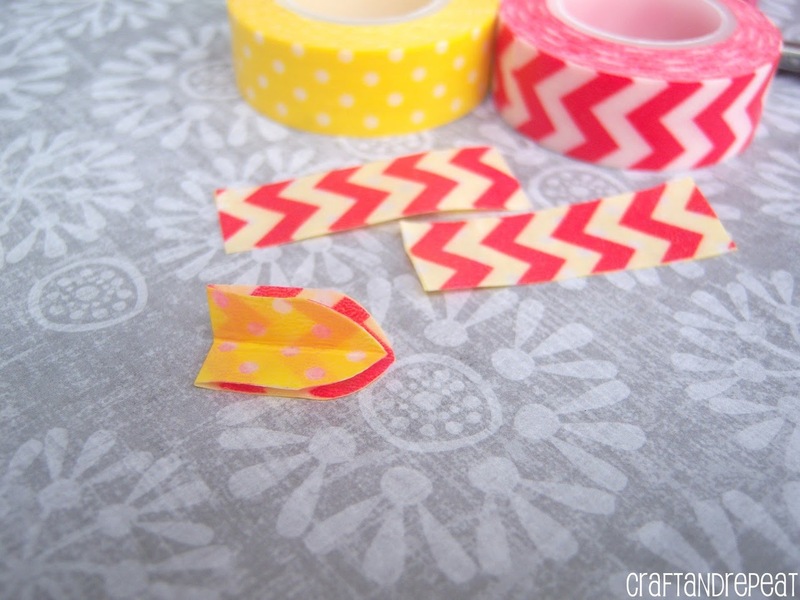 Cut the washi tape from the roll. 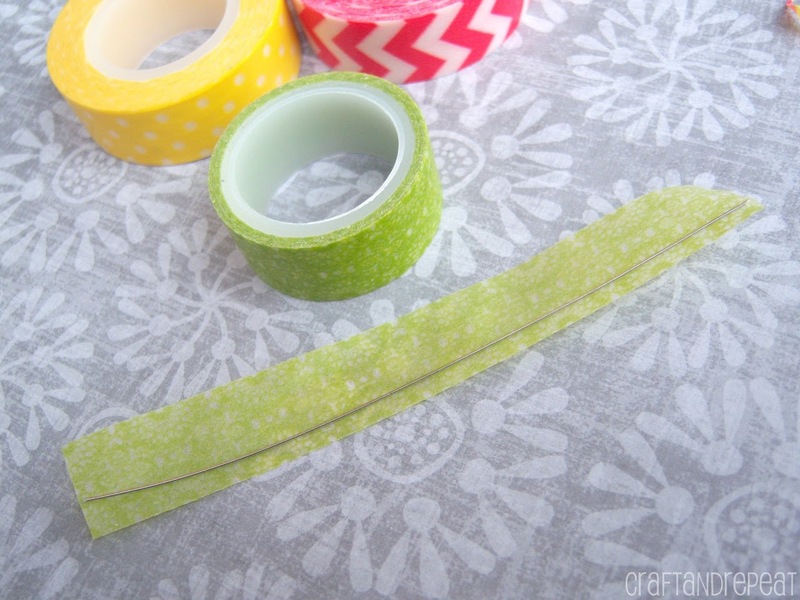 Fold over the small edge of tape you created and crease it against the wire. Now just roll the wire and tape until you can’t anymore. Glue it to the back of your flower (again, I suggest hot glue). That’s it! You can bend the wire to arrange the flowers. 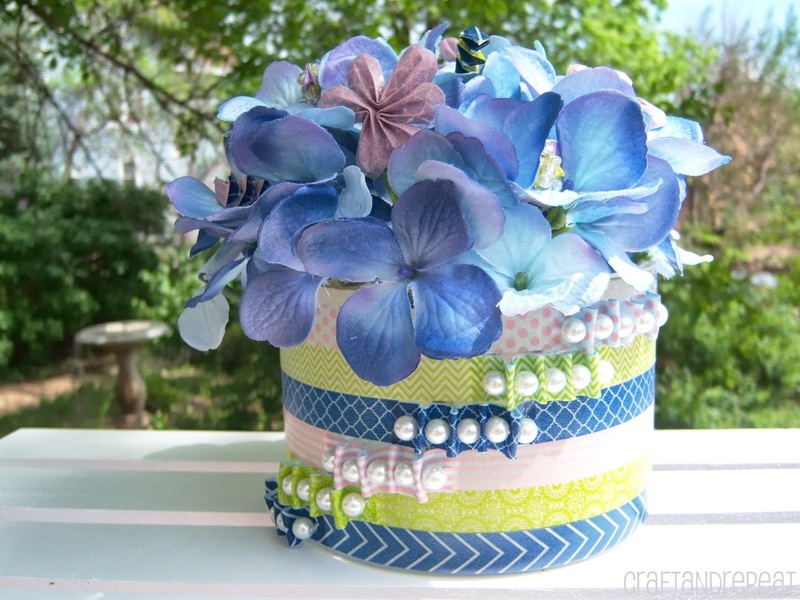 Make a whole bunch in different colors and sizes to create a bouquet. 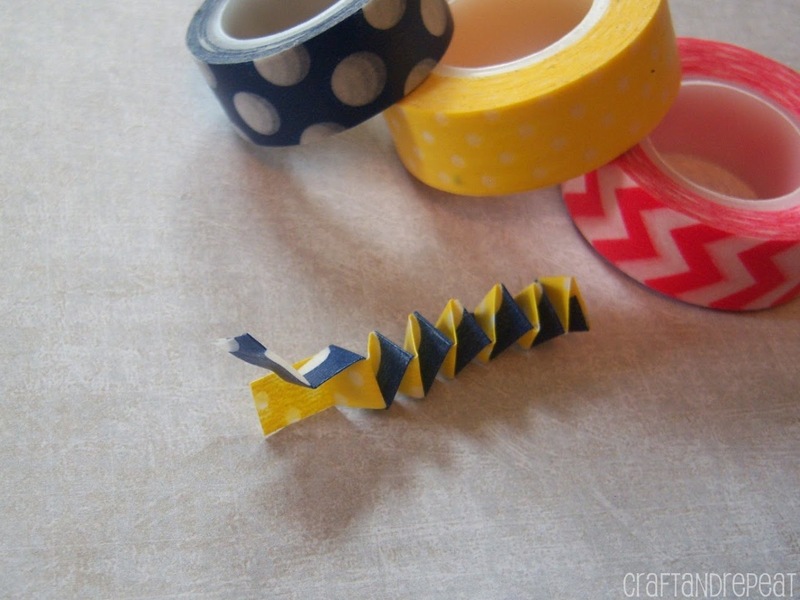 Use the same folding technique and stems to create butterflies and hearts! The spires I used in my contest entry are really easy to make. I have to give credit to my parents (not sure if it was Mom or Dad) for teaching me how to do this. When I was a kid, my parents would take my brothers and me to Pizza Hut to get our free personal pizzas from the Book It school reading program. Do they still do this? Anyone know what I’m talking about? I’m sure they no longer use the big pin on buttons they used when I was in grade school! If you have no clue what I’m talking about, THAT IS OK! The point is, while we were waiting for our pizza and sipping on our sodas, we would take the empty straw wrappers and make these fun little spires to pass the time. Confession: I STILL do this anytime I have straw wrappers at a restaurant! Fun fact: Pizza Hut was where T took me on our first date as a couple, and I clearly remember doing this to calm my giddy nerves! 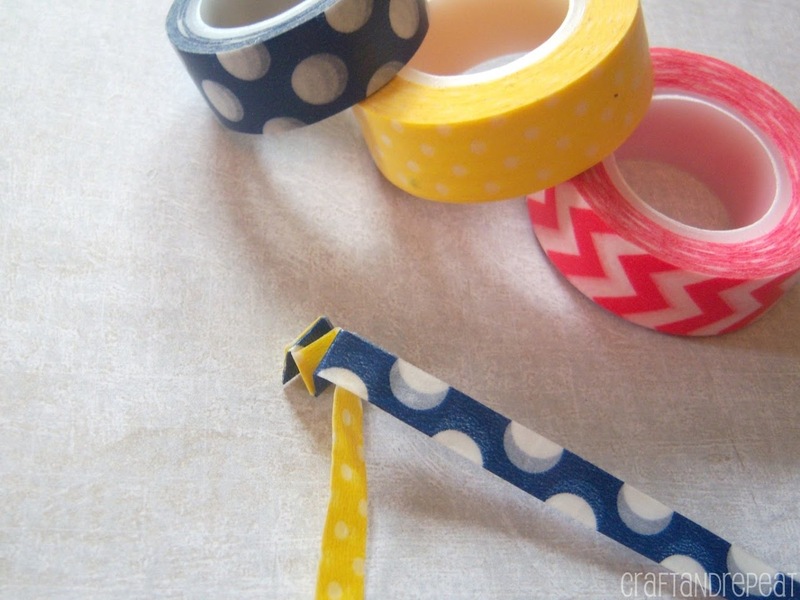 Fold the washi tape over on itself lengthwise to create a long strip. I found it easier to keep it on the roll. 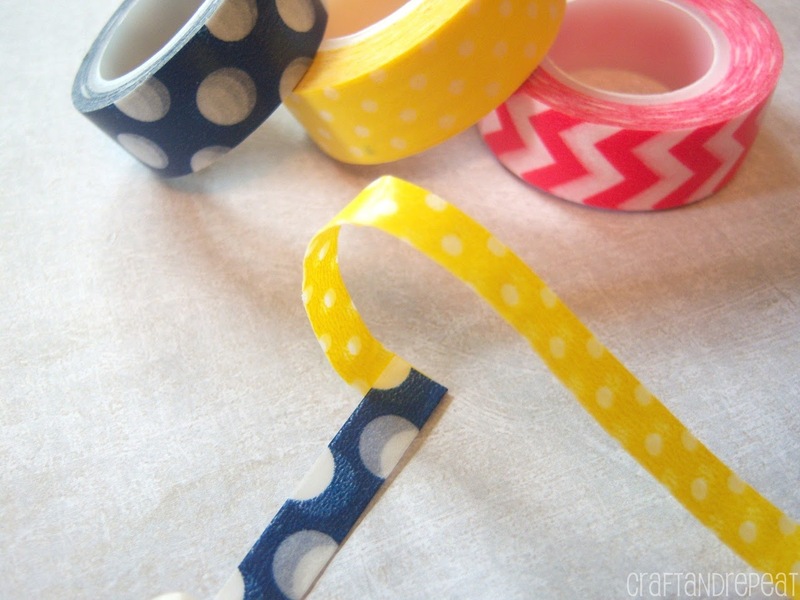 Do the same with the other color of washi tape. The length of the strip will affect how long the spire will get. 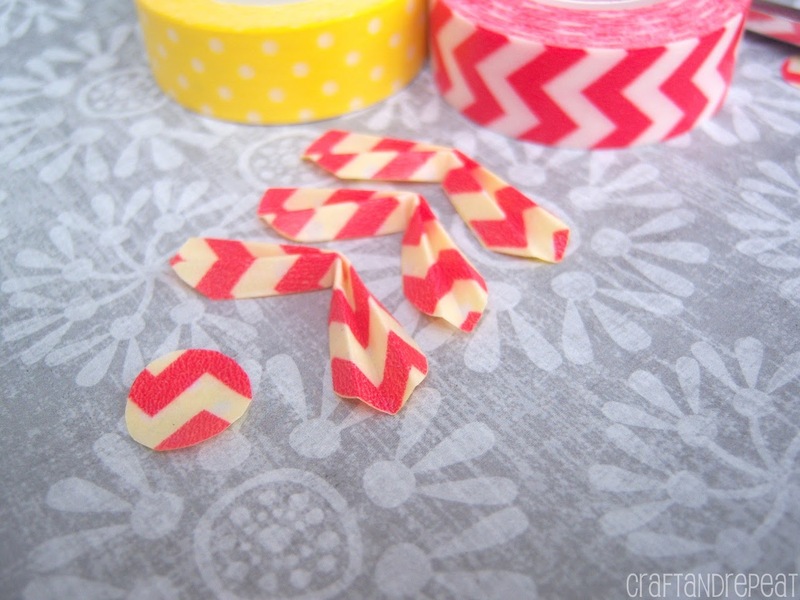 Cut both strips to the same desired length. Glue the ends together to create a 90 degree angle. To make it look more uniform, have your folded edges on the outside. 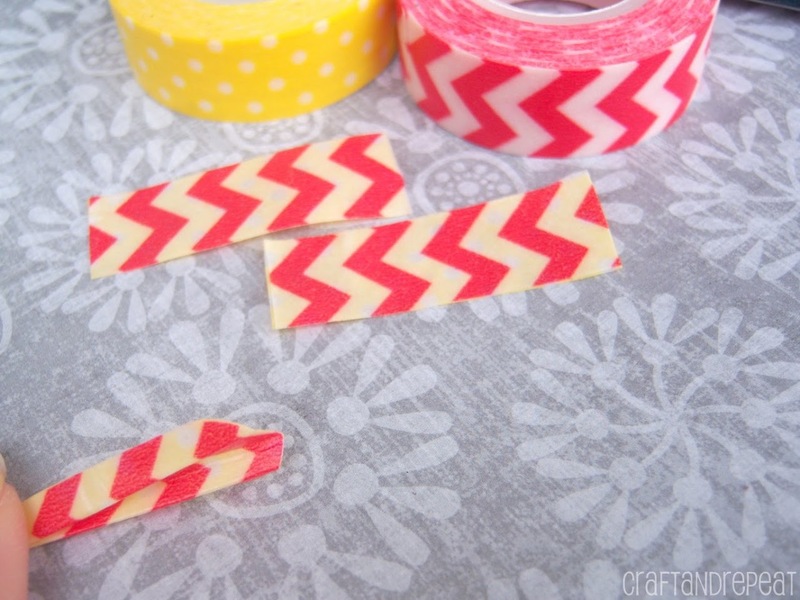 If you’re using one color, you only need one strip and can fold it in the middle to look like the red one in the picture. 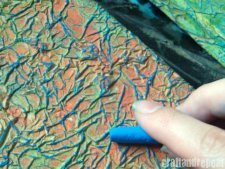 Once the glue is dry, take the strip that is on the bottom (the yellow one) and fold it over the top strip (the blue one) creasing it where it meets the edge of the top strip. The blue one is now on the bottom. Fold it the same way over the yellow one. Continue folding this way until you reach the ends. It’s best to hold onto the completed folds while you work and keep them squished together. If the end pieces are too small to complete a fold, just cut them off. Glue the ends together. 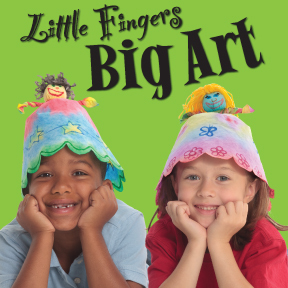 Let go of your folds and it will spring out into a fun spire! 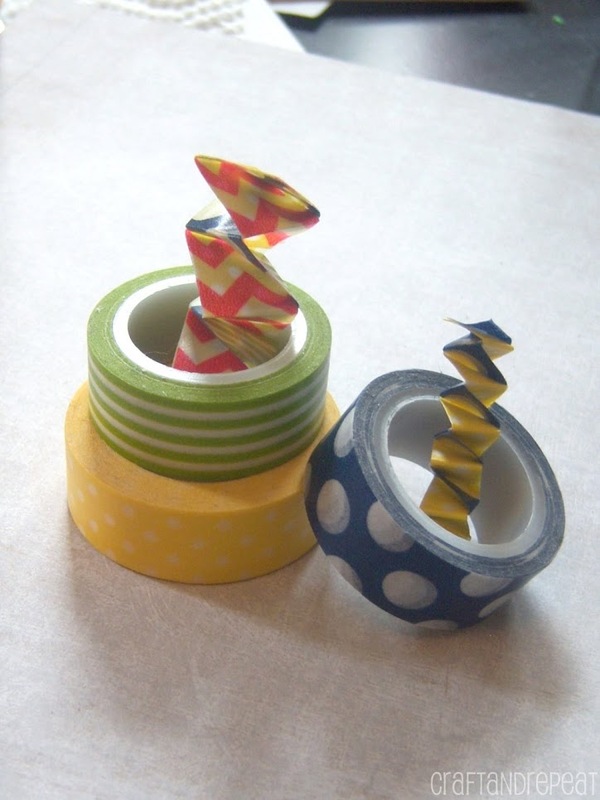 You can also make larger, 4 colored spires by doubling 2 colors of tape for each strip. Think of all the fun ways you can use these! Cards, scrapbooking, washi bracelets and earrings, and of course as floral decorations! 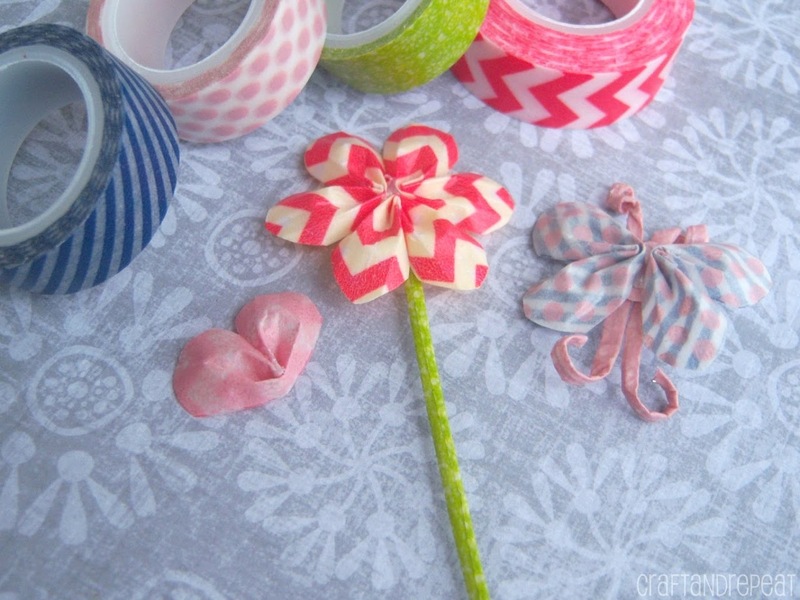 These can easily be made using strips of paper as well. 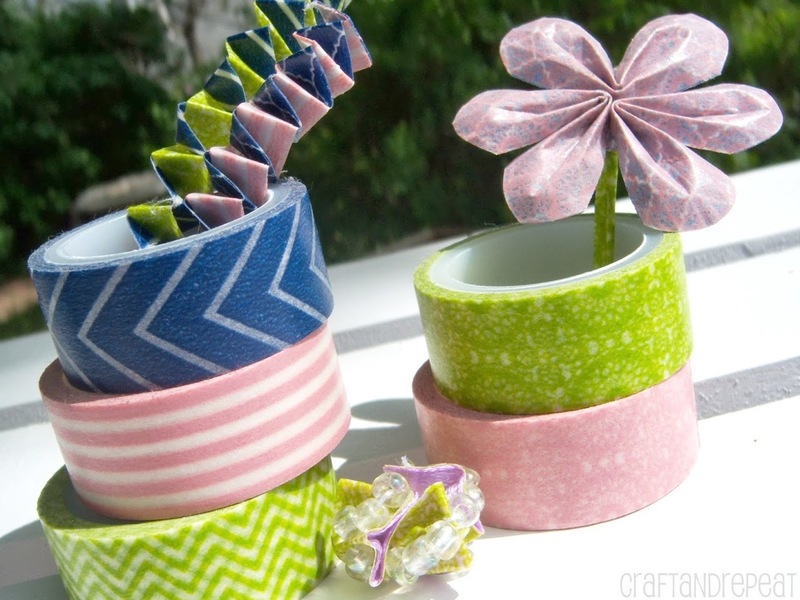 Hope you enjoyed these tutorials and have learned some new ways to use your washi tape! Remember, if you post about this project, please be sure to give me credit and link back to me or grab a button from the sidebar. Thanks! Your opinions and thoughts mean a lot to me. I would love for you to leave me a comment below. Thanks for stopping by today!